Alex Roberts Artist: Connect: Katowice - Expo Finale! 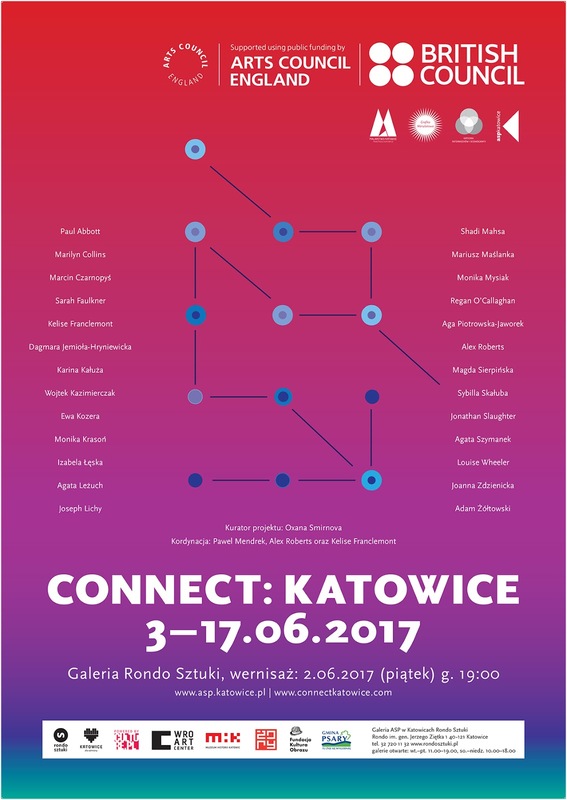 Connect: Katowice - Expo Finale! Approx. 35 Polish-UK artistic collaborations provide a chance to witness and share the benefits of learning and communicating across cultural and geographic boundaries. "Connect: Katowice is a year-long collaboration between around 35 British and Polish artists, divided into groups or “Connections”, all aiming to demonstrate the benefits and learning through intercultural communication. The first exhibition in London, December 2016 furthered these relationships and established new ones; now the artists come together again, this time in Katowice, Poland to realise the fruits of 12 months’ collaboration in a new exhibition at the Rondo Gallery in the centre of Katowice". Connect: Katowice is kindly supported by Arts Council England & British Council upon receiving a grant from the Artists' International Development Fund, and Culture Poland.